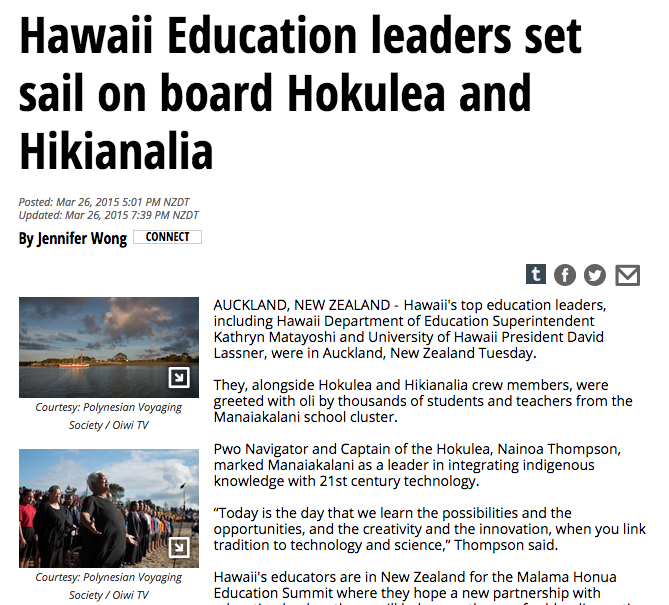 Hawaii News Now also reported on the significance of the day when Manaiakalani Schools met the education leaders from Hawaii. Pwo Navigator and Captain of the Hokulea, Nainoa Thompson, marked Manaiakalani as a leader in integrating indigenous knowledge with 21st century technology. “Today is the day that we learn the possibilities and the opportunities, and the creativity and the innovation, when you link tradition to technology and science,” Thompson said. 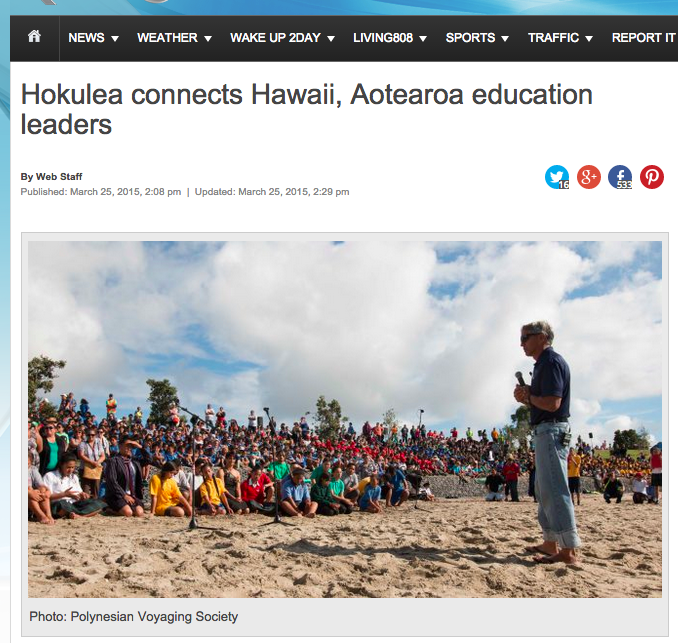 Legendary canoes Hokulea and Hikianalia anchored together at Pt England Beach in New Zealand Tuesday to connect Hawaii’s education leaders with some of Aotearoa’s most innovative educators. On Wednesday as part of the Mālama Honua Worldwide Voyage, two waka from Hawai'i called Hōkūle'a and Hikianalia landed on Pt England beach. They were greeted by 2500 children from our Manaiakalani schools. 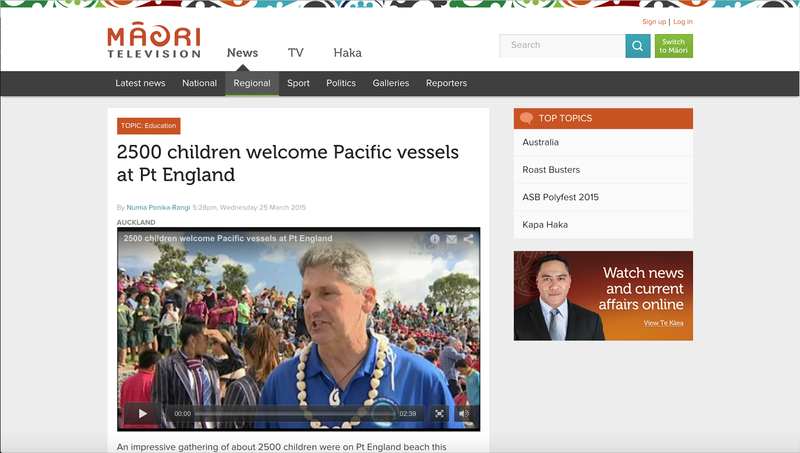 This article and video on the Maori Television website talks more about this visit. 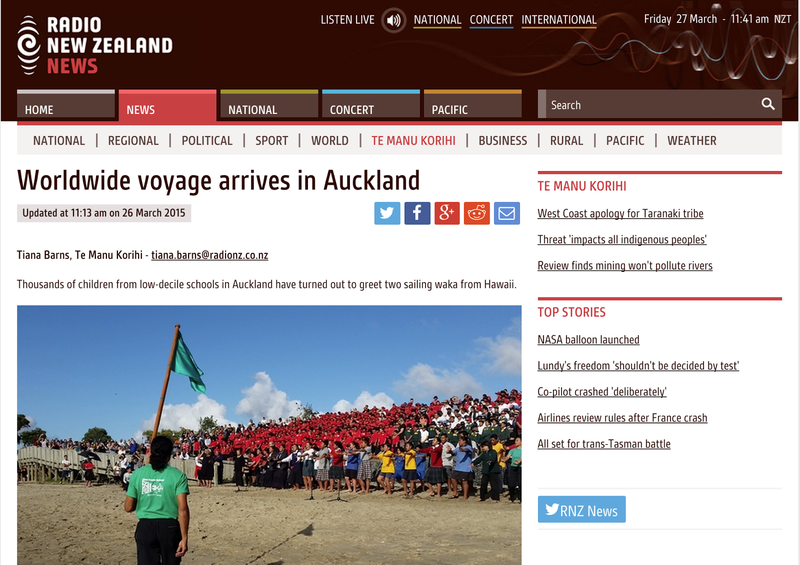 This article on the Radio NZ website talks about Manaiakalani and the Mālama Honua Worldwide Voyage landing on Pt England Beach on Wednesday with the Hōkūle'a and Hikianalia waka.